At MonsoonSIM, on top of constantly challenging ourselves to developing an ever more powerful platform for teaching and learning, we value highly the performance of both teachers and students. To teachers and students, credentials such as Record, Certification, and Scorecard from their engagements in MonsoonSIM serve as achievements. 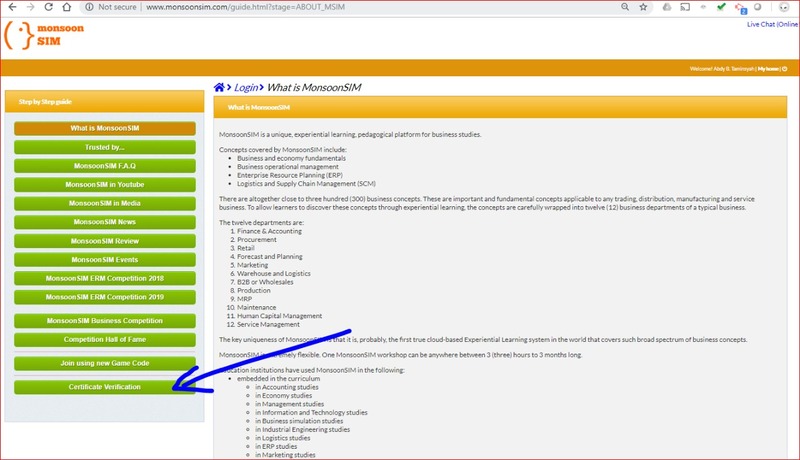 MonsoonSIM today released a URL that when provided, allows anyone including employer to verify the applicant's(student) credentials as on the validity of his Certificate under Certificate Verification as pointed by the blue arrow below. 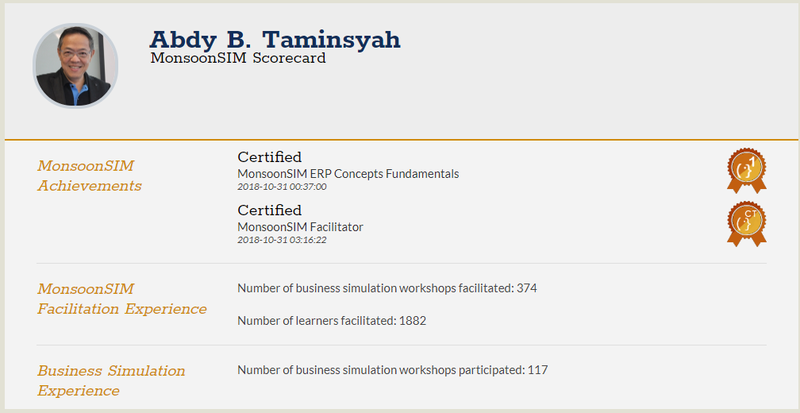 The following screens are examples of student Certificate, CT(Certified Trainer) Record, and Scorecard. Notice the number of simulation sessions covered is also recorded. "The benefit of this feature is to give the recruiter a way to easily verify the authenticity of our learner's certificate", said Alex Ong, director of MonsoonSIM, Singapore. 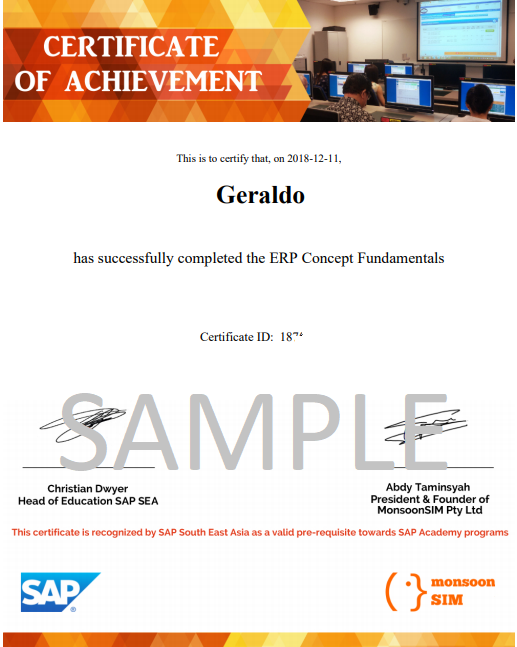 MonsoonSIM ERP fundamental concepts Certificate is attained when the learner can demonstrate their understanding of key ERP concepts such as the procurement process, the sales process, the goods delivery process etc. To be credited with good work done can definitely make one feel a sense of accomplishment.